If you're a Craft Beer Nerd, why not be a part of our show and show your support! Here is a promo clip we did for 21 North Eatery and Cellar. A great restaurant with craft beer on tap in Martinsville Indiana. Out at the yearly Frigid Digit IOT event in Indianapolis, Indiana and filming the promo for it. On this episode we do what we do best. Visit breweries. This time we head out to Newgrass Brewery. 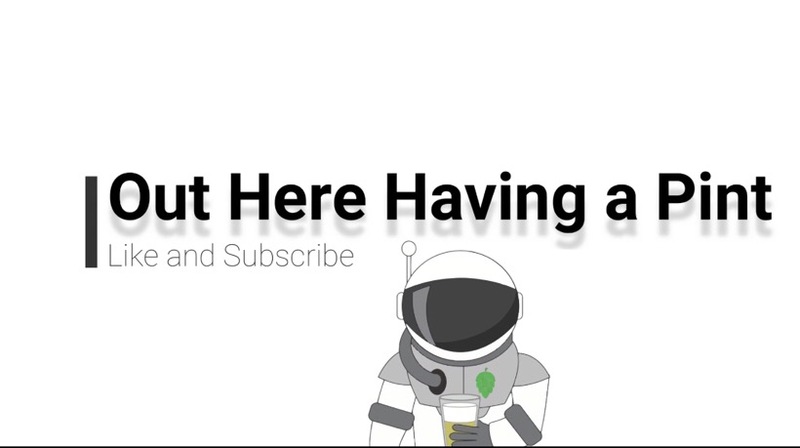 Don't forget to like follow/subscribe for weekly craft beer adventures and reviews! Out Here at 450 North Brewing Co.
Hey you little craft beer nerds! OK, we're not going to list all of the beers that we had because we had many! What we can tell you is that we ventured out at 450 North Brewing in Columbus, Indiana and sat with McKinley from sales and Brian the assistant brewer. We were all fortunate enough to try all of the new releases a day prior and boy did we love them! Enough of words, dive into the audio and check it out because this was a fun episode! On this episode of Out Here Having a Pint, we traveled to Moontown Brewing located in Whitestown, IN. Adam from TheSpeak Podcast joined us as well. There was a lot of excitement at Moontown over the weekend as they hosted a tapping party for two amazing beers, Belgiumnasium, a Belgian Strong and Rocket to the Moon, a Russian Imperial Stout, which was a collaboration brew with Whitestown Beer Fest winner of 2018, Nick Boling. Take a listen as we talk with Nick about his experience brewing on a large scale system, and Cody and Bobby, owners and brewers at Moontown Brewing on how they got started and how far they’ve come! On this episode we went out to meet the rest of the Indy Craft Brew gang to have a beer share. We're not sure if we were having a beer share or a beer fest, but either way it was amazing. Out at the Creek Again! Episode 21 - Back at Cedar Creek Brew Co.
Hey you little craft beer nerds! On episode 21, we went out to Cedar Creek Brew Co in Martinsville, Indiana to taste their wonderful Bourbon Barrel Aged Beers. Kevin may have been a little drunk before the podcast began, but oh well. Enjoy! You wanted it and now it's back. 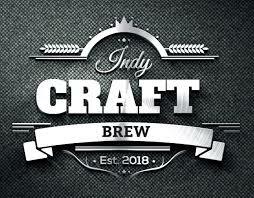 We'll be returning on what we're calling Season 2 of our podcast show and this time around, we're joining forces with none other than Indy Craft Brew! The Indy Craft Brew team along with the OHHAP crew will sit down to record a bi weekly series of podcasts to sample some of the best craft beers in Indiana as well as others from all over the world. Don't miss this wild podcast show. Our first stop on this craft beer train will be at Cedar Creek Brewing Co in Martinsville Indiana to sample their Bourbon Barrel Aged Russian Imperial Stout coming in at 20% ABV. Wow!! We saved something big for the end of the year... On the darkest day of the year, we will be releasing our 20% Bourbon Barrel Aged Russian Imperial Stout! Huge flavor notes of chocolate and coffee with a sweet bourbon accent and an incredibly smooth and full body makes this a truly unique beer that completely hides the formidable alcohol content! Due to the alcohol content, draft pours will be limited by person as this beer sneaks up on you far too easily! We're excited to share this with everyone and look forward to releasing it finally! Make plans now to come out and have a pint with us! In addition to our podcasts, we'll still provide weekly youtube vlogs on everything craft beer. Be sure to head over there to like and subscribe. It's the only way that Kevin gets to eat tacos. This weekend, we hit the streets in Indy on the east side to visit Indiana City Brewing and Chilly Water Brewing Company. We had a great time at AMB out in North Carolina. Check it out. Mike Lawton from Indy Craft Brew was kind enough to invite us out to Scarlet Lane where they had their 80's Halloween Party. It you want to check out a very cool brewery and you like the horror genre, you can't miss this place! Today we drink 3 beers from North Carolina! We went out to our next of the woods and visited Cedar Creek in Martinsville Indiana. Come on out and have a pint! Kelsy and I along with Pete from TheSpeak Podcast traveled out at Whitetowns Beer fest! This premium event will featured 25 Indiana breweries and expected to showcase hundreds of craft beer releases—making it one of the largest and most unique craft beer festivals in the central part of the state of Indiana. The event played host to a one-of-a-kind Indiana home brewer competition with an opportunity for attendees to sample pours and cast a vote for their favorite. This year's event anticipated over 30 home brewers who will prequalify for a chance to serve and compete. Congrats to Nick Boling from Circle City Zymurgy on winning 1st place! We have to give a shoutout to Indiana on Tap as well for hosting!